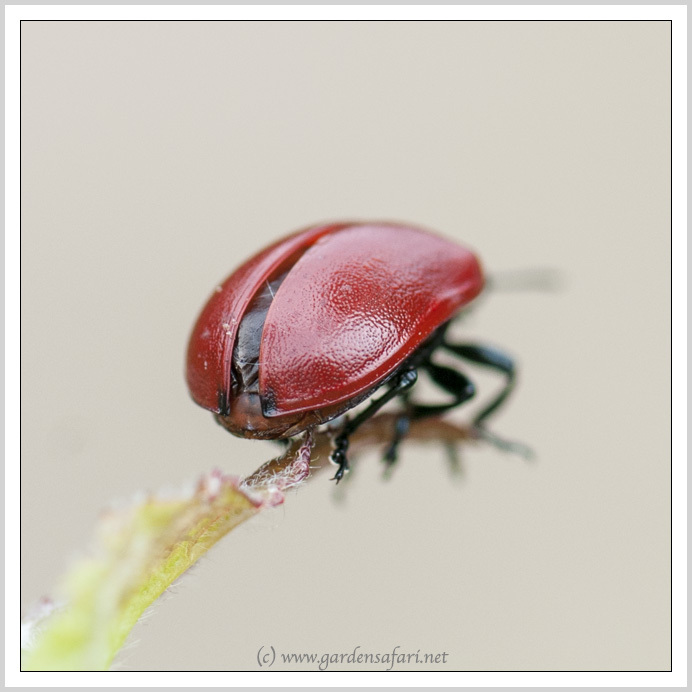 On Gardensafari you can explore the diversity of fauna captured with my photo cameras in the garden. Gardensafari helps you to identify all kinds of creatures you can find in your home surroundings. The site consists of over 700 pages per language with articles on garden wildlife illustrated with thousands of photographs of birds, spiders, frogs, squirrels, butterflies, moths, centipedes, wasps, flies and dragon flies, beetles, ticks and other garden wildlife in and around a house. The species in the photos here have been identified by both their English and scientific (Latin) names. Instead of traveling to exotic destinations on distant continents in order to see the marvels of nature, you can stick to the comfort of your home surroundings and discover what's crawling, flying, jumping, biting, running and buzzing right around you. Your house and garden are full of creatures which will truly amaze you if you just take time and effort to really look... Gardensafari takes you on a virtual tour through the world of wildlife. Enjoy it! Click here for more photos of this species. Click here for previous photos of the month. Refurbished the whole page of Leaf Beetles (Chrysomelidae) . Several new beautiful Chrysomelida species added there. The webpage of the Colorado Potato Beetle (Leptinotarsa decemlineata) has been renewed and you'll find brand new detailed photos there. 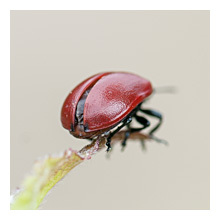 Two new Leaf Beetles added: Tansy Leaf Beetle (Chrysolina graminis) and Chrysolina varians . Beautiful but harmful to the trees is Poplar Leaf Beetle (Chrysomela populi). A newcomer to this website. Another new species here is a scary looking Hornet Moth (Sesia apiformis). There is a new lovely Cuckoo Wasp on Gardensafari, Pseudomalus violaceus. A new species on this website is a Flesh Fly, Cynomya mortuorum. A new beetle here is Donacia simplex. Added new photos of the Wasp Beetle (Clytus arietis). The page of the Greenbottle fly (Lucilia sp.) redesigned and added new photos of the species. Impressive close-up photos of the caterpillar of the Large Yellow Underwing (Noctua pronuba) added. without my prior permission. If you wish to use the images, please contact me by e-mail. for iOS8 is available at the app store.